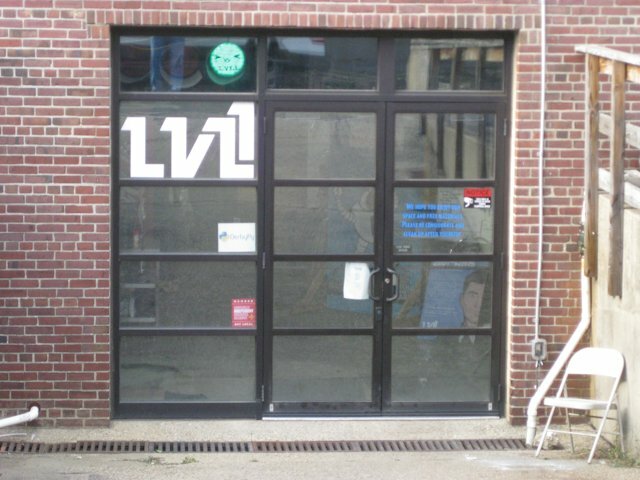 LVL1 is located at 1205 E Washington Street, in The Pointe (at the corner of E Washington St and Cabel St). We're located in LL100, on the lower level. (Latitude: 38.2567568, Longitude: -85.7291955) Due to significant ongoing construction resulting in road closures and detours, we are leaving driving directions to the space up to your favorite GPS/map app. Or request specific directions through one of our social media links on our Connect page. The main parking lot for The Pointe is at the corner of East Washington and Cabel Streets with entrances from both streets. 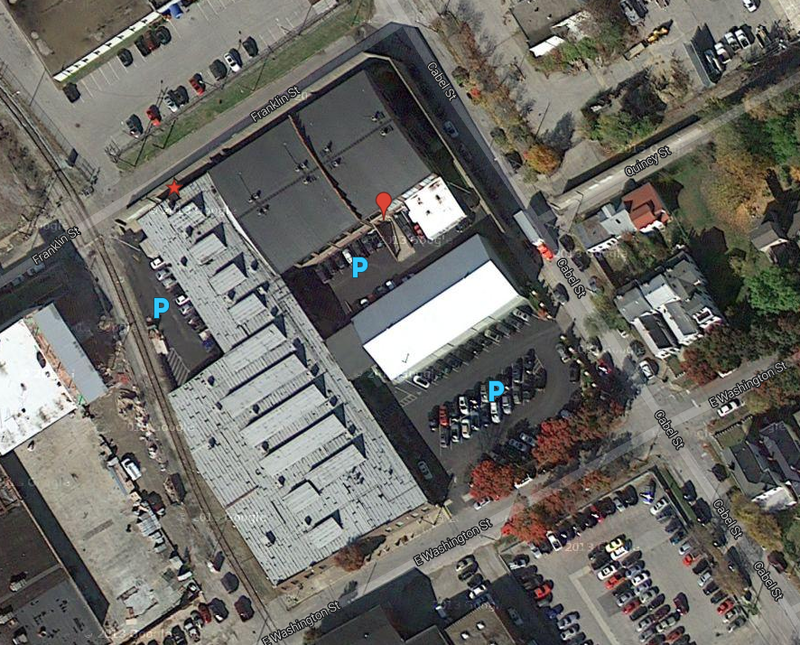 The "courtyard" parking lot is behind the flood wall off Cabel Street (see photos below). There is a smaller lot on the back side of the building with an entrance off Franklin Street (next to the railroad tracks). There is also parking on the streets around The Pointe. The main entry to LVL1 is located at the bottom of a ramp in the courtyard parking lot. There are also two interior entrances. "P" Denotes parking. The red star indicates the accessible entrance. The red map pointer indicates the main entrance. The main parking lot has entrances from both East Washington and Cabel Streets. Walk through the breezeway between the buildings. Walk through the courtyard lot. The main entrance to LVL1 is down the ramp. From the corner of East Washington & Cabel Streets go north on Cabel Street.